I. What Are Gallstones & Gallbladder Pain? Are you afraid of the gallstones or gallbladder pain? Have you ever felt the pain in their upper abdominal region or in their shoulder blades for either long or sometimes short periods of time? Usually, people with those features should probably go to the doctor to check for gallstones. 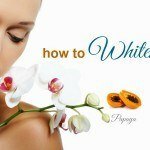 Or we can offer you the easier ways with this article and also with our lovely site Effective Remedies. 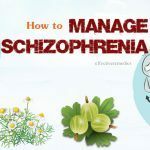 You don’t feel worried about this, just be patient and read this article to get yourself the best solution. 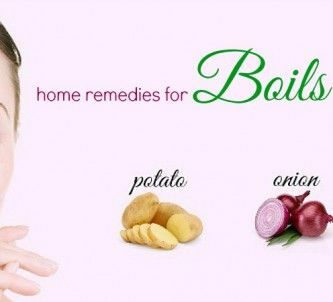 Luckily, there are some natural home remedies which can help you to get rid of this trouble. 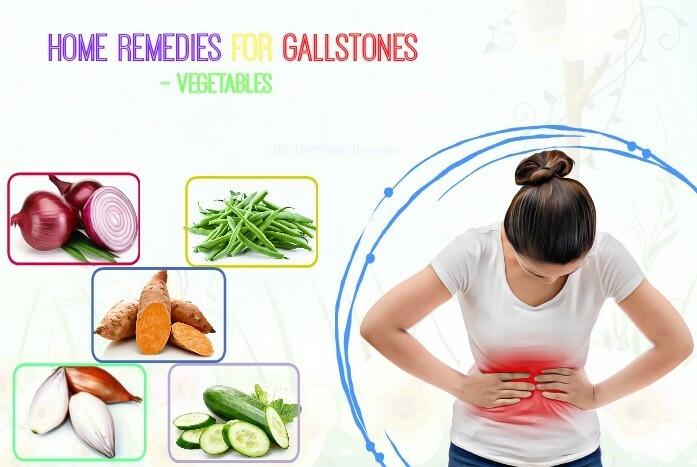 Candidly, when you calm your condition, you can implement some natural home remedies for gallstones to deal with the gallbladder pain easily. What we have to know that with our social living style in the present age, it is likely for everyone to get a gallbladder pain. The choice is made by yourself, but sometimes it slips out of your control, so the point here is that you find the right remedies. 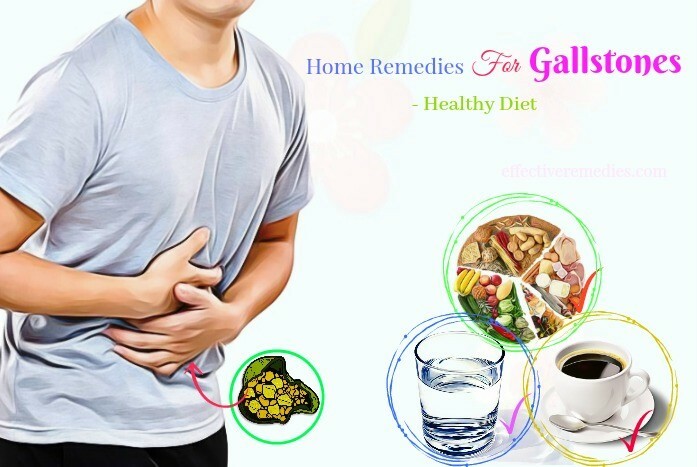 Some normal but effective home remedies for gallstones can be present to you, through this article, and through our care, people who make Effective Remedies page. I. What Are Gallstones And Gall Bladder Pain? Gallstones are known as solid and dense particles, and their formation results from the partaking of bile cholesterol and bilirubin inside the gallbladder. About the gallbladder, that part of the body is a saclike organ, located in the upper right part of the abdominal region, under the liver, near the front right rib cage. The bladder takes part in the biliary system, next to the liver and the pancreas. Gallstones stay inside the gallbladder. Usually, they make no problems. In the situation that there are too many of gallstones, they may result in pain and hurtful experiences when you eat fatty food. And a large number of gallstones also results in blocking the bile duct, which leads to the formation of gallstones and swelling and pain in the organs as this block the digestive enzymes in the duct. Serious pain in your abdominal area. In general, females tend to grow gallstones as their pregnancy periods in their life lead to many of their problems such as obesity, an imbalance in hormones which is estrogen. All that parts are main reasons for the growth of gallstones. As for men, they might experience the gallbladder pain too as the number of junk foods consumed every year is a lot, which is the actual cause of obesity. In the case that an individual takes a large amount of junk food and fast food, the cholesterol level of their body increases highly, then the formation of gallstones begins. The pain you go through in your gallbladder is usually experienced in parts of the body like the upper abdomen, the back and shoulder blades. The gallstones sufferer might also bear displeasures like vomiting bouts and chronic indigestion. Additionally, this problem might also come from the effects of aging and fasting. A healthy diet does play an effective part in the prevention of the formation of gallstones and home remedies for gallstones as well . It is important to have yourself a good diet plan which is carefully selected. The advice here is to exclude all kinds of fast food and junk food from your daily diet. By sorting out all the fast food and junk food, your level of cholesterol will remain stable, and you have yourself a better heart and a better gallbladder. 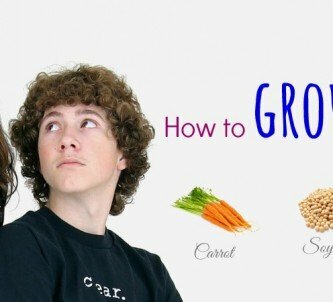 Besides, you may want to consider eating nuts and seeds that contain a plenty amount of unsaturated and non-carbohydrate fat properties, which is useful for your health. Drink water regularly. You should have eight glasses of water per day, as this method aims to purify your inner system and prevents the formation of gallstones. According to heart attack victims and obedient people, vitamin C effectively works on the eradication of unwanted cholesterol existing in the bile and gallbladder . 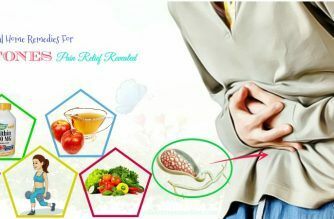 And also the reliability of Lecithin as its phospholipid properties gets well-known because Lecithin can effectively halt the process of formation of gallstones. For this reason, it means that you are helping yourself when your meal includes a lot of Lecithin and Vitamin C.
Lemon juice is one of the effective home remedies for gallstones pain relief. Best thing to do is to squeeze the fresh ones and collect them naturally. Moreover, you do not dissolve the lemon juice with the water because the effects of lemon juice will reduce dramatically. By squeezing four lemons, you will get around 120-180 milliliters, counting on the size of the lemon. Do not eat any kinds of food before take the lemon juice, use some water after you take the juice. This solution should be applied daily in one week. Take four lemons and squeeze them to get the juice. Take the juice when your stomach is empty in the morning. Then, have a glass of water. Do this process in a week. Take some lemons and squeeze them to have four juice tablespoons. Use this solution when your stomach is empty in the morning. Apply the method a few weeks. Vitamin or Vitamin C is believed to be strongly useful when it comes to the method of gallbladder pain relief. 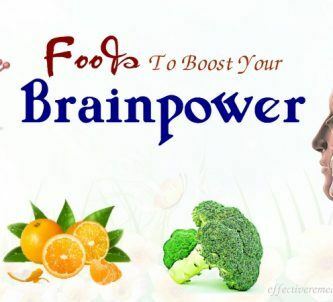 Vitamin C can be taken through food having vitamin C or through fruits or vegetables like tomatoes, broccoli, peas, and papaya, etc.  A kind of home remedies for gallstones pain relief which is easy to do at home or anywhere is exercising. Honestly, an individual with regular exercise stands a much lower chance of having diseases. As you practice sports or any sorts of exercise doings daily, you consistently raise the efficiency of your immune system. By exercising, the worries about obesity, a weak immune system, a weak heart will be no more as the level of cholesterol in your body is low. From that fact, the formation of gallstones also gets prevented as it had no chance. Obesity is one of the main causes of gallstones and gallbladder pain, and to reduce that risk, people should always keep their body in fit shape. At the same moment, the right way to lose weight is to lose it slowly, by exercising, and change your diets because the sudden difference in weight can also cause gallstones and gallbladder pain. For any kinds of gallstones illness, apple cider vinegar has proven to be effective and reliable. Looking at the details, as the vinegar is the compound of acidic properties, it deals with the gallstones. 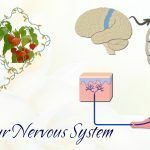 And also, the light acidic level of the vinegar not only contributes a lot to the inhibition of the formation of the gallstones but also increase the speed of healing process. The acid inside apple cider vinegar slowly breaks down the stones so that the body can remove them out without harming the body system. According to the scientists, gallbladder pain will be reduced fantastically when apple cider vinegar comes to the work. The vinegar comes along with health benefits and properties that will calm your gallbladder pain, at the same time it backs other organs effectively. Use one teaspoon of apple cider vinegar with one glass of apple juice. Have a tablespoon of apple cider vinegar and pour it into a bowl. Add a little of apple juice and stir them well together. Have two teaspoons of apple cider vinegar and put them in a bowl. Take a teaspoon of lemon juice and pour the juice into a bowl. Take a beetroot and wash it carefully. With four small carrots, the processes are the same. Have this solution two times per day. Apply this method two weeks in a row. Castor oil will help you a lot in relieving gallbladder pain when applied to your skin areas over gallbladder. Immerse a towel in castor oil and press it against the skin areas over gallbladder. To get more promising results, heat up the towels with castor oil and store it carefully in a suitable place for placing them alternately on your skin. With the compounds of the healing, recovering and medicinal properties, castor oil is one of the most effective home remedies for gallstones. The effects of castor oil are to prevent and reduce the formation of gallstones in the gallbladder. Additionally, castor oil has the effectiveness in fighting against swelling, greatly taking part in relieving the pain and reducing the swelling caused by gallstones. Moreover, castor oil also contributes to the strengthening of the immune system and lymphatic system. Put a cup of castor oil which is pure and cold-pressed in a pot and heat it up. Many types of study have shown that having a cup of coffee daily can reduce problems in your gallbladder. Coffee is believed to inhibit gallstones. A study revealed that people who drank two to three cups of coffee per day stood the risk of gallstones 40% lower than people who did not. Scientists said that caffeine helps stimulate gallbladder contractions and make a good path of gallstones. 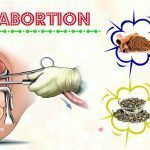 We can tell that this is not a pleasant vegetable for many, still, it is one of the good home remedies for gallstones. It smoothens the bile flow and maintains the top shape of the gallbladder. Nevertheless, you should not eat radish too much. Make sure you understand the everyday recommended quantity of radish. This solution should be applied daily for the best result of getting rid of gallstones. Scientists proved that peppermints work perfectly in digestion by stimulating the bile flow and other digestive tract juice. Peppermint also contains a natural property called terpene that can solve the problems with gallstones. Having a cup of peppermint-infused tea regularly can help reduce the symptoms of gallbladder conditions. This solution should be applied between meals. Whenever you feel that you are prone to gallstones or gallbladder attacks, this kind of method is made just for you. Scientists all around have given coconut oil their trust in curing gallbladder conditions. As the coconut oil includes essential fats which are perfect for the digestion by the liver. We all know that the accumulation of unhealthy fats, cholesterol, and bile salts in the gallbladder cause gallstones, and those things need to be stopped. Lightly heat up the coconut oil, add all the properties to it and blend nicely with a blender. This solution should be applied once daily for the best result in a few weeks. Try to avoid certain medications: Cholesterol-reducing drugs and exercising hormone therapy. You should look for immediate medical treatment if you are experiencing symptoms above. The professional medical treatment will have proper tests and X-rays test, blood tests to define the reasons for your condition and consult you the best advice. Do not let your condition of gallbladder pain untreated. 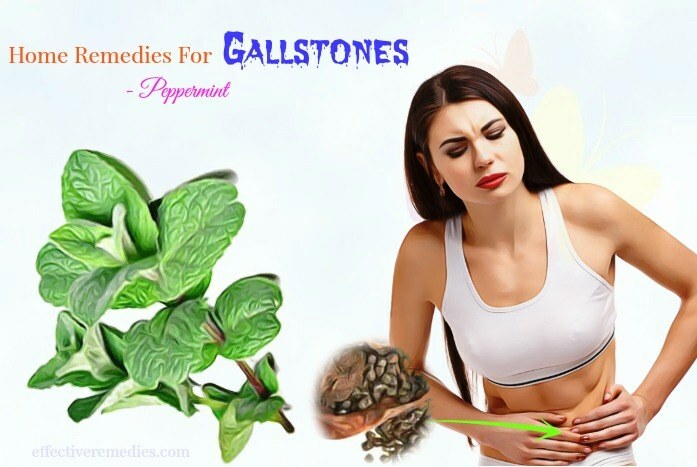 Above are 10 best natural home remedies for gallstones pain relief. 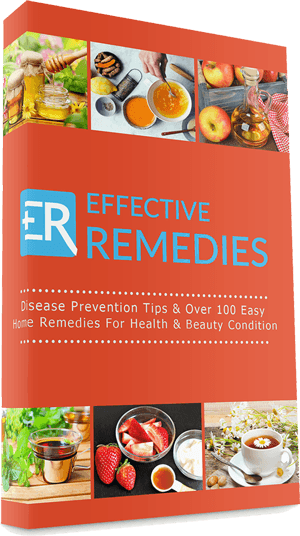 If you want to learn more about the natural treatments for other health conditions, please visit our Home Remedies page. Do not forget to leave your comments in the form below to show us your thoughts.